An electric vehicle charging, also called EV charging, charge point and EVSE (electric vehicle supply equipment), is an element in an infrastructure that supplies electric energy for the recharging of electric vehicles, such as plug-in electric vehicles, including electric cars, neighborhood electric vehicles and plug-in hybrids. 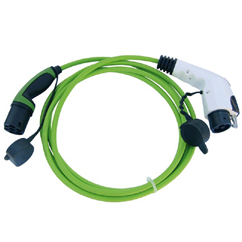 At home or work, some electric vehicles have onboard converters that can plug in to a standard electrical outlet or a high-capacity appliance outlet. 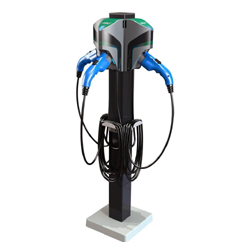 Others either require or can use a charging station that provides electrical conversion, monitoring, or safety functionality. These stations are also needed when travelling, and many support faster charging at higher voltages and currents than are available from residential EVSEs.